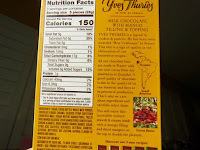 Welcome to Day #5 of Chocolate and Fruit Theme Week. In the middle of January, lighter, tropical fruits taste refreshing and evoke memories of warmer places. Today's Yves Thuries Milk Chocolate with Mango Filling and Topping bar, made in France and distributed by SALPA Inc. (Greenwich, CT) offered an opportunity to imagine a tropical vacation, or a trip to Paris in the spring. 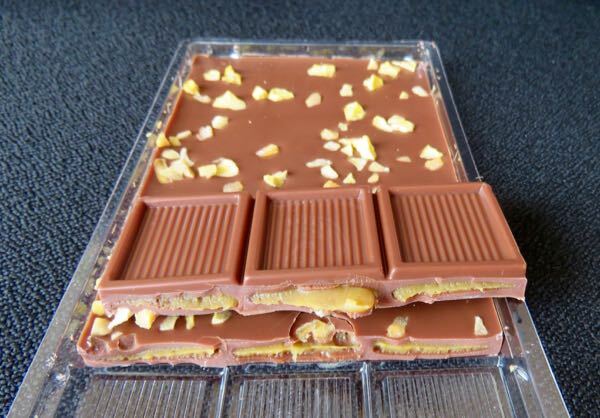 The sweetened mango pieces and filling gave the bar a mango fruit aroma and flavor with a slight floral note. 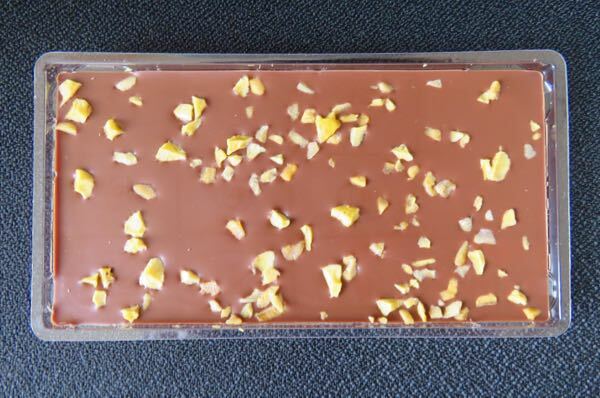 While the milk chocolate gave this bar a sweet, confection feel, the more delicate fruit and floral notes would have been overpowered in a darker chocolate base. We're fortunate in California. Spring is just a few months away, and green shoots start poking up in mid-winter; but in the San Francisco area we have to import mangoes (and cacao) from farms closer to the Equator. 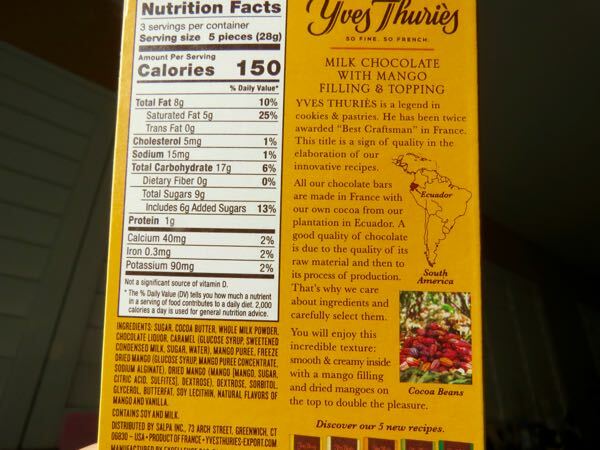 The milk chocolate for this Yves Thuries bar, and other bars the company produces, was made from cacao grown on their own plantation in Ecuador. 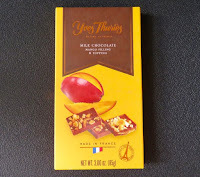 Welcome to Day #4 of Chocolate and Fruit Theme Week. 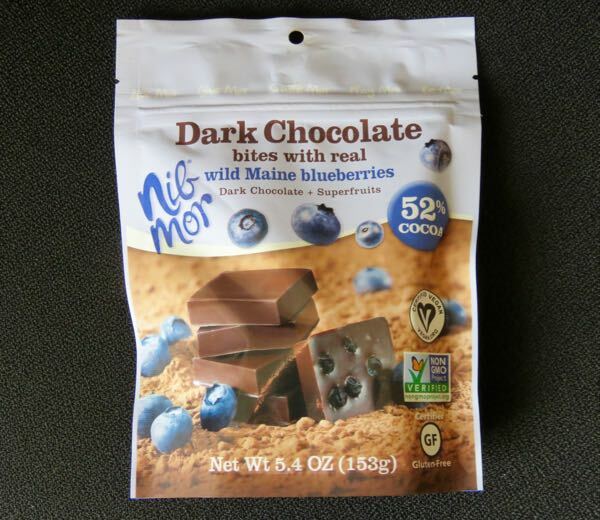 Today's Dark Chocolate bites with real wild Maine blueberries were from NibMor Inc. (Kennebunk, ME). 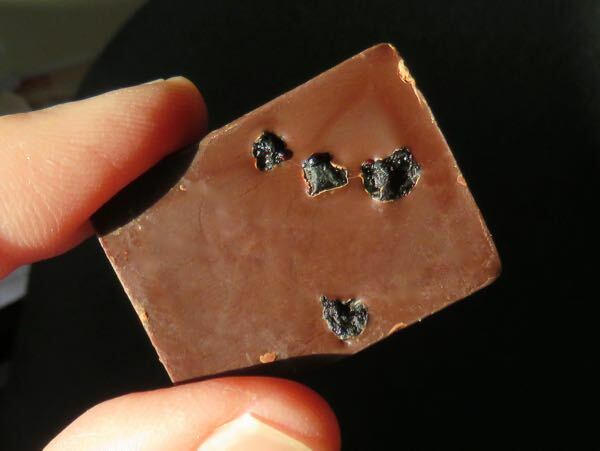 These two-bite sized rectangles were dark (52% cocoa) and sweet, and full of natural blueberry flavor. Tiny, whole, dried wild blueberries were visible on the underside, and were well balanced with a medium % dark chocolate.